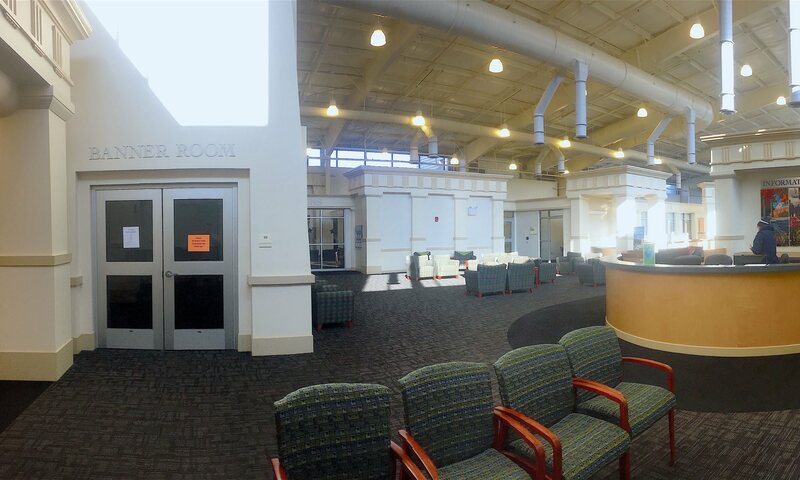 Wintergreen Building Renovations - SCSU - Scope Construction Company, Inc.
Southern Connecticut State University is a vibrant community of more than 10,000 students and more than 700 faculty members. SCSU is part of the Connecticut State Colleges and Universities (CSCU). 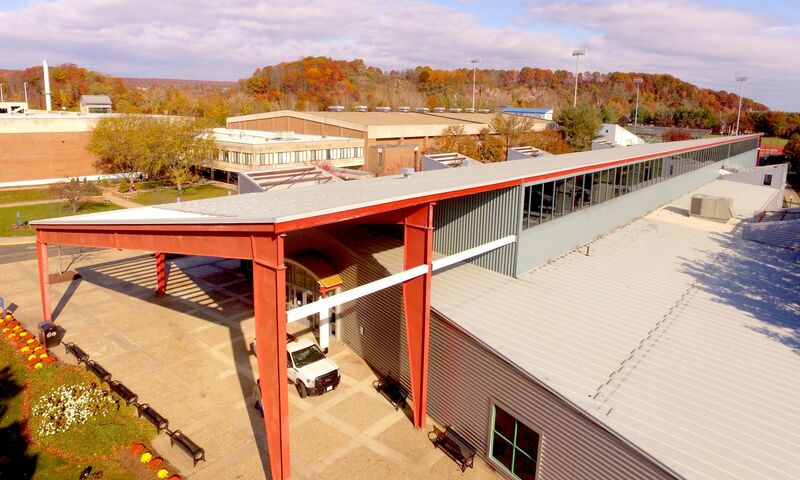 Scope Construction was hired to perform work on the existing Student Service and Admissions building, a pre-engineered metal building with extensions off each side. This included interior architectural woodwork and installation of laminate architectural cabinets. 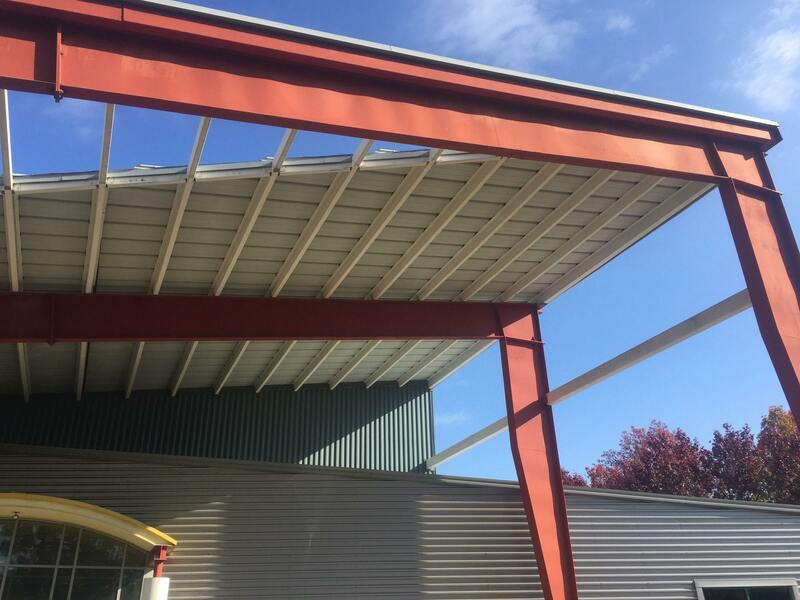 Also part of the project were HVAC and ADA compliance improvements, fire and sprinkler modifications, new doors, ceilings and flooring, as well as sound-masking systems. We took extreme measures to minimize disruption to SCSU employees during construction. We did much of the work during off hours, which meant our crews were there from 4pm to midnight. We installed dust barriers. Negative air machines minimized odor issues from paint, etc. And we completed tasks in stages. At the end of each shift, we performed extensive dust and debris cleanup so employees could work at their desks the next morning. Avoiding disruption to the workday was accomplished to the best of our ability. The space was renovated to create larger individual office spaces for student services such as Financial Aid, Admissions, etc. The sound-masking system became an important way to reduce neighboring office noise.